Living in a future where sixteen-year-olds are surgically transformed from "uglies" to "pretties," Tally Youngblood struggles with a choice: to become beautiful and content forever living in a high-tech paradise, or to leave the world she knows and keep her own identity. Tally's decisions lead her on an incredible journey, which forces her to grow, change, and learn. Set a few years after the end of Specials, Extras follows a new girl, Aya Fuse, in a new town. As Tally did, Aya has some problems being a fifteen-year-old ugly, but this new world is filled with new technologies and new challenges as well. Now the focus of society is on fame. The world is like a gigantic game of American Idol. Whoever is getting the most buzz gets the most votes and the highest rank. Popularity rules. Everyone wants to be famous, and Aya is prepared to do almost anything to bring her face rank up from 451,369, a number so low, she’s a total nobody. An extra. She has no idea what kind of fame she can achieve propelling her into a world of fame, celebrity, and extreme danger. 1. On your sixteenth birthday, how would you feel about being forced to have the surgery to become pretty? Would you feel like Tally—looking forward to being beautiful and bubbly—or like Shay—wanting to escape the surgery and stay ugly, but remain herself? If your best friend asked you not to have the surgery, what do you think you would have chosen to do? 2. What elements of the Smoke remind you of a camping trip you've taken or one you've seen on TV or in a movie? What advice would you give the Smokies about living in the wild? 3. Tally has three important guys in her life: Peris, David and Zane. How does her relationship with each of the three affect her decisions at different points in the story? Which of the three do you think made the greatest impact on Tally? 4. Compare Tally's society with our society today. What are the similarities between Dr. Cable's controls and our own government? Just as Tally and her friends were brought up learning about the failure of the Rusties' society, what lessons can be learned from the future portrayed in the series? 5. The author created new worlds, new technology, and new language for the books. Which location—New Pretty Town, the Smoke, or Diego—would you want to make your home? Which of Tally's futuristic possessions—a hoverboard, a sneak suit, SpagBol—would you like to own? What were your favorite slang words in the series? 6. What do you think was the pivotal point in each of the four books? What would you change about them? 7. What are Tally's strongest assets and her tragic flaws? What about Shay? David? Zane? 8. Is Dr. Cable a protagonist or an antagonist? At what points in the series does she seem more good than evil or more evil than good? Does she have the best interests of the people of Pretty Town at heart or is she simply trying to gain power and prestige? 9. 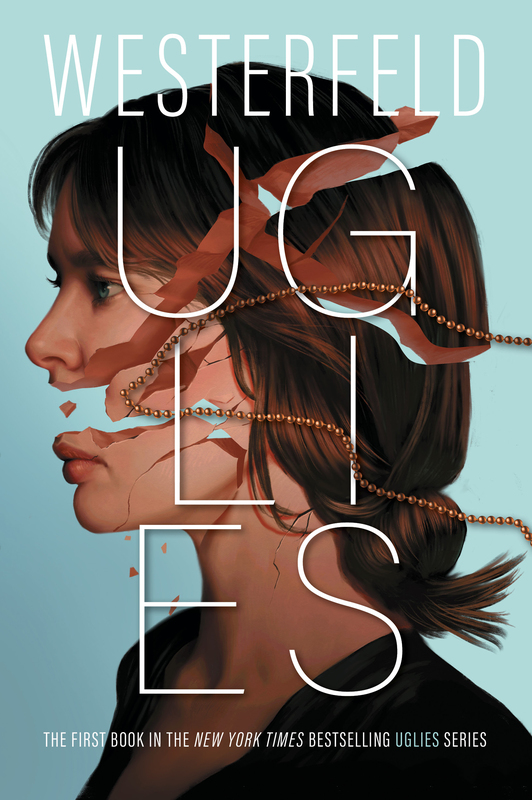 If the Uglies series was made into a movie, who would you cast to play the part of Tally? Shay? David? Zane? Peris? Dr. Cable? Where in the world do you think it should be filmed? Who would be the best director for this project? 10. Who was your favorite character in the series? How did you feel about how they ended up at the end of Specials? Which character do you think is the most like you or your friends? 11. Imagine that David decided to live in the city of Diego. What challenges would he face there, having grown up in the wild? What would a day in the life of David in Diego be like? Do you think he'd get used to his new life, or decide to return to his old one? 12. Before reading Extras, where do you see Tally two years after the end of Specials? How about Shay? Peris? What do you think Pretty Town and Diego would be like? 13. If you were suddenly famous like Aya, what would you spend all of your credits on? Would you have moved into Shuffle Mansion? 14. Many of the issues that are current hot topics in our world are tackled within the pages of Extras. Compare the hovercam frenzy and Tally’s obsession with fame to our tabloids and paparazzi and the Lindsay Lohans of the world. What comparisons can be made between our concerns about the environment and Tally’s concerns about the inhumans’ treatment of natural resources? 15. Would you have had the guts to surf on the mag-lev trains like Aya and the Sly Girls? Do you think they were daring or crazy? Would you have gone that far just to find out the Sly Girls’ secrets so you could kick their story? 16. Discuss the relationships in Extras—Aya and Hiro, Aya and Frizz, Aya and the Sly Girls, Aya and Tally—and how they change throughout the course of the book. 17. Who do you relate to more: Tally or Aya? How are the two different and how are they alike? Would you rather be Tally’s friend or Aya’s? Why? 18. How would you feel if your every move was filmed by a hovercam? Would you want to own a Moggle of your own? 19. Would you be willing to try Radical Honesty? Do you think total honesty at all times is possible? How long do you think you would last without lying? 20. List all of the Japanese items and references in Extras. 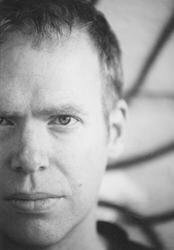 If Scott Westerfeld were to write another book in this series, where should the book be set? Why? What unique qualities of that location would make it an interesting choice? 21. Were you happy with the ending of Extras? If not, how would you have ended it? Which of the books in this series is your favorite? Why? 1. Design your own hoverboard. First make a blueprint including what kinds of gadgets you would put in its secret compartments, then make a prototype using cardboard, paper towel rolls, markers, etc. 2. Act out a scene from one of the books. Assign parts to each participant and choose your favorite scene—maybe Tally's first trip to New Pretty Town to visit Peris, the invasion of the Smoke by Special Circumstances, or the destruction of the Armory. 3. Put a pretty spin on a sport (think about the suspended ice skating rink in Pretties) and come up with your own bubbly rules and regulations. 4. Put yourself in Dr. Cable's shoes. Take turns telling the Specials story from her point of view and include what you think her motives were behind her actions in the previous two books. 5. Look at the covers of Uglies, Pretties, Specials, and Extras. Then redraw your own version of each of the covers highlighting your favorite scene from each book. 6. Map Aya and Tally’s journey, starting in Tokyo. Use clues you find in Extras to help you determine the route they took.